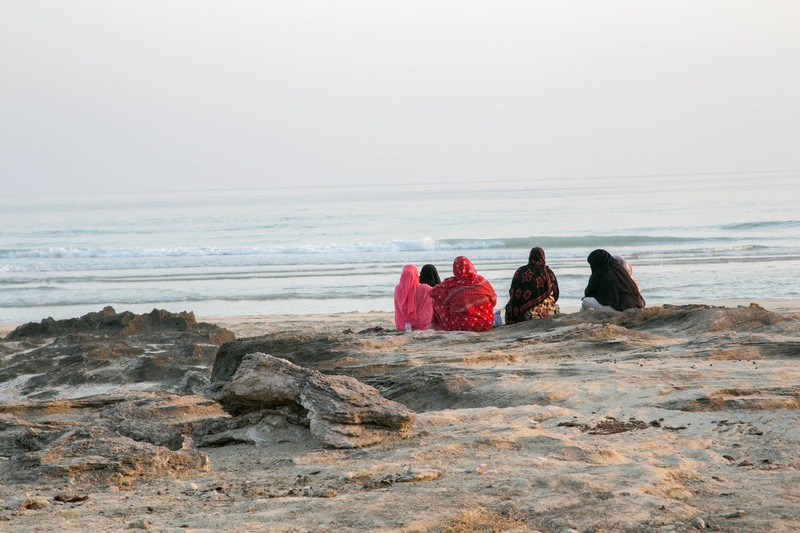 I love this photograph of these ladies sitting on the beach. Muslim women don't like to be photographed showing their faces, so this was perfect. Their colorful dresses are a pleasant departure from the sea of black I am accustomed to seeing in Saudi. Looks like they are putting the world to right there. Great photo, I expect they have much to talk about. I've seen modern burkha (?) in dep't store windows and they're really fancy with lots of sequins and modern designs and accessories.